Here, a roundup of thoughtful perspectives on today’s tragic news. We were so sad to learn of chef, travel host, and humanitarian Anthony Bourdain’s tragic death this morning. His loss will be felt by many who were inspired by his influence. The images we present on our social feeds or to others do not always reflect what’s happening behind the scenes. Celebrity deaths such as Bourdain’s and Kate Spade’s earlier this week call into question the ways that our exteriors often don’t accurately reflect our interiors. Read Thrive Global’s discussion of this here. 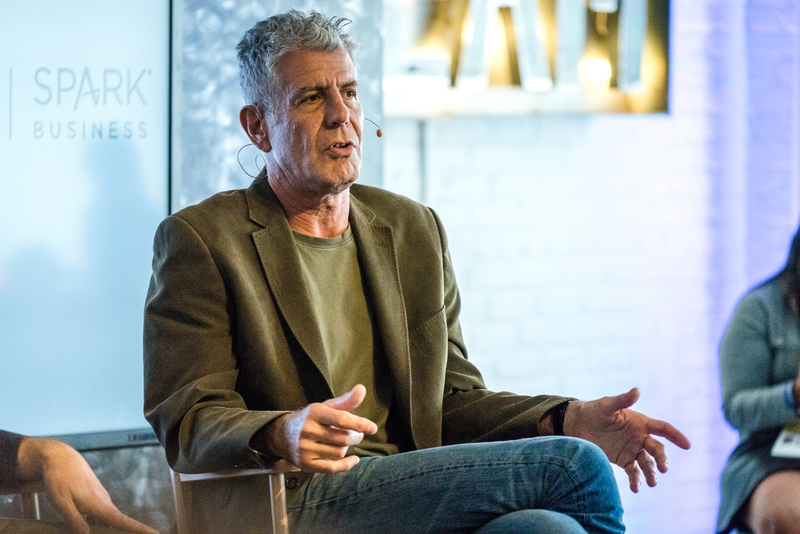 As a leader in the culinary world, which has been under scrutiny recently over sexual harassment, Bourdain was a fierce supporter of the #MeToo movement. Bourdain regularly tweeted in support of women who have been victimized by sexual harassment and publicly reflected on his role as an ally. Read more at Business Insider. Suicide is particularly devastating within families. Thrive Global contributor Elizabeth Buchanan wrote about how intensely her brother’s suicide has impacted her throughout her life. Her words urge us to both acknowledge the devastating effects of suicide, and to think about how more must be done to prevent it. Click here to read about Elizabeth’s experience. It’s important to remember that media coverage of suicide can have very real effects. Vox examined this phenomenon, and Psychology Today published an article addressing how we can work to end the stigma surrounding suicide. If there is someone in your life struggling with depression, don’t be afraid to offer help. Read Thrive’s recent piece on how to talk to someone dealing with depression. And this Thrive story provides suggestions for what to do if you, or someone you know, is contemplating suicide.